With Sheets API developer metadata, you can associate keys and data with a spreadsheet, sheet, row or column. Previously, if you wanted to ‘remember’ some data attribute, let’s say the column to find particular data on in a given sheet, there was always the possibility that the column heading would change, or that extra columns would be inserted meaning that neither of these were reliable ways to re-address data in a future session. This idea of being able to both abstract data from its position, and also associate hidden commentary with it gives a new dimension to the developer. Some data could indeed be stored in the document properties of the Spreadsheet, but some of the options refer to sheet and column choices which might change in name or position between runs. Using the Sheets Developer Metadata also allows richer data to be stored against precise locations – for example retaining the active cell position position between Add-on usages. 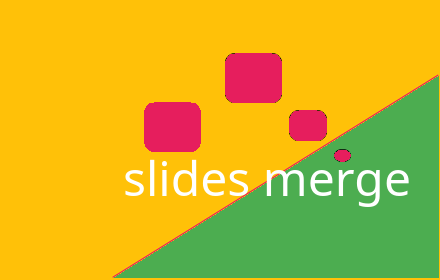 Let’s look an example – the SlidesMerge Add-on. This is an add-on has some settings that we’d like to remember should we run it again with a given combination of Slides template and Sheet. But here there are some values that are actually the names of specific sheets in the workbook, namely “Actors” and “globals”. If either of these names were to be changed between runs, then the stored spreadsheet metadata would no longer be accurate. By using a SHEETS level metadata, you can store information about a LOCATION – in this case a sheet – and even if the name or position of that sheet changes, the metadata will still point to the original sheet. This is referencing the sheet to use to get data from (the “Actors” sheet in the example), so the key is templateId-data. There’s no need for any data stored against the key at this time, but this has an added timestamp which might be useful at some point. This refers to the column “Description” in the settings, which you’ll be able to retrieve with the templateId-multiSuffix key. The LOCATION is defined using a DimensionRange object which is common in the Sheets API. There is no cell level developer metadata, but this can be done using two requests – one for a row and another for a column. Using the intersection of these to define a cell location for the ActiveCell, you can automatically position there at the beginning of the Add-on. If you know the id of some metadata you can retrieve it directly, but you are more likely to be retrieving it by key. The search method is used to return all metadata that matches a given DataFilter object. In the SlidesMerge example I can retrieve the metadata that matches the keys they’ve been written with. In the example, the SPREADSHEET level data contains information about the options selected the last time this spreadsheet was used by SlidesMerge. The key contains the presentation templateID, so that the same spreadsheet can be used against multiple templates. Here’s the request to retrieve the metadata, which can be an array of DataFilters. At the SHEET level, information about the sheets used for supply the data and global values are stored, keyed by the templateID plus “data” or “global”. Although their names are in the SPREADSHEET level metadata, it’s possible that their name has changed. In this case, the LOCATION is omitted from the DataFilter, since the key is sufficient. Here’s the request to get the sheet that is being used for the “data”.